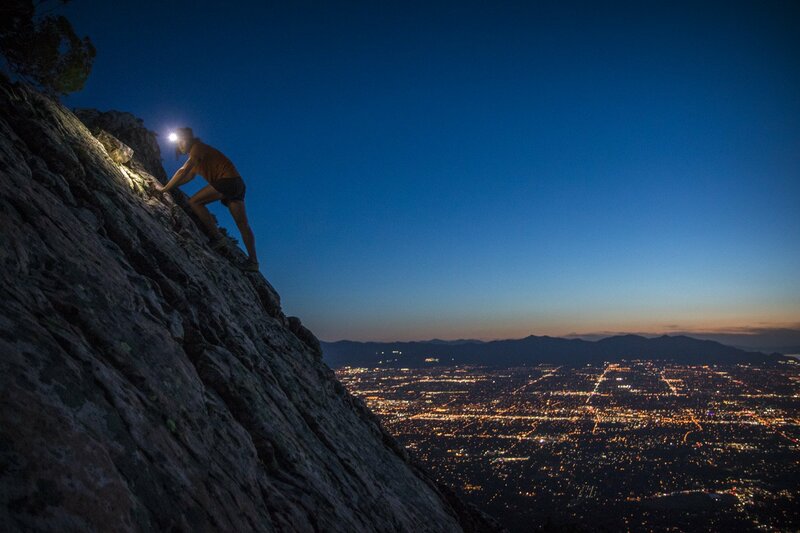 200 Lumens - One TriplePower LED and one DoublePower white LED. 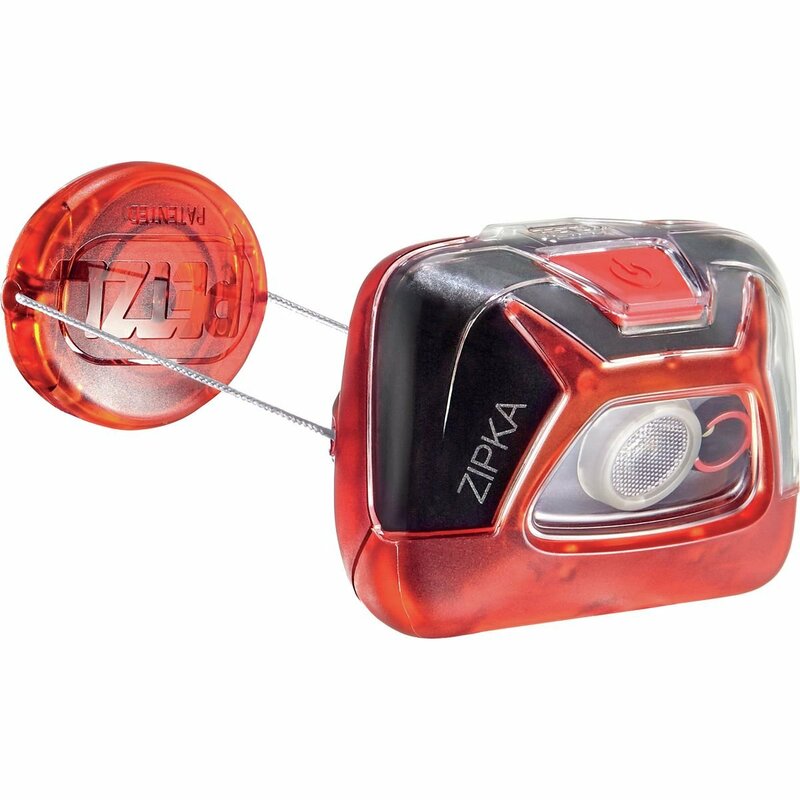 Night Vision - Red night vision has dimming and strobe modes. Low Bulk - Sleek, low-profile design. 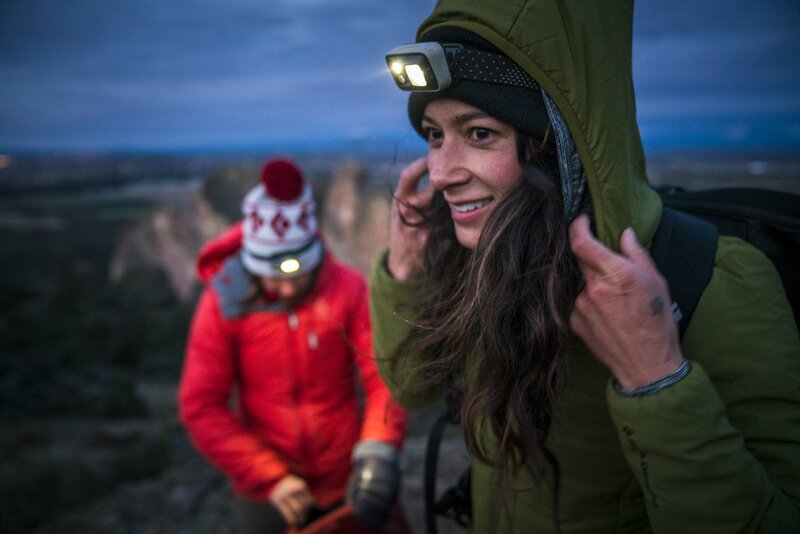 Multiple Settings - Include proximity and distance modes, dimming, strobe, red night-vision and lock mode. 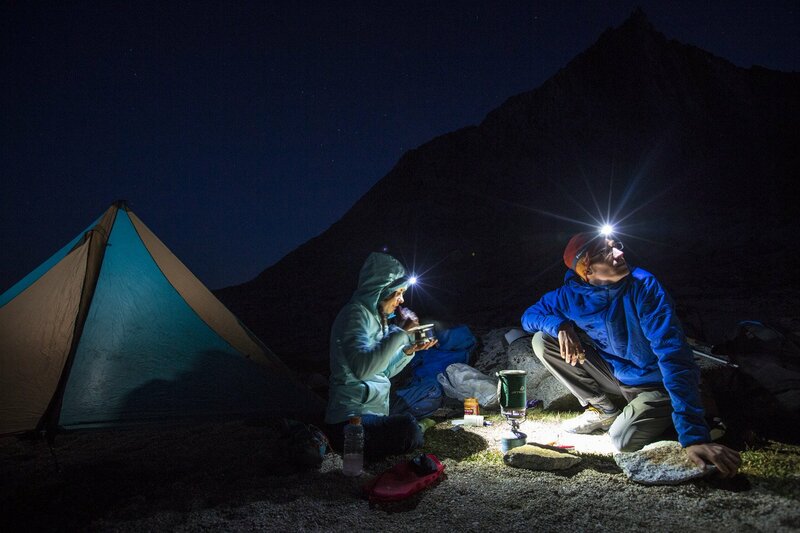 Featuring a sleek design and ample feature set, the 90-lumen Black Diamond Cosmo headlamp is equally at home cooking dinner at the campsite or rappelling off a multi-pitch route after the sun goes down. Standard distance and proximity modes, both dimmable, are complemented by a red night-vision mode-extra handy when waking in the middle of the night-and all modes are accessible via one simple-to-use button. And with a housing built to withstand sprayed water from any angle, the Cosmo is ready to brave nearly any storm you may encounter on your adventure. BACKGROUND FOR CONTEXT: I recently went on a camping trip and I took along with me my Petzl Myo XP which I bought in 2009. Compared to other people I have been camping with and their torches, it has always seemed very bright by comparison. However, its days were numbered and the cable, which is obviously not very tough, got damaged internally from being moved around over time. The torch still works, but it has a loose connection. 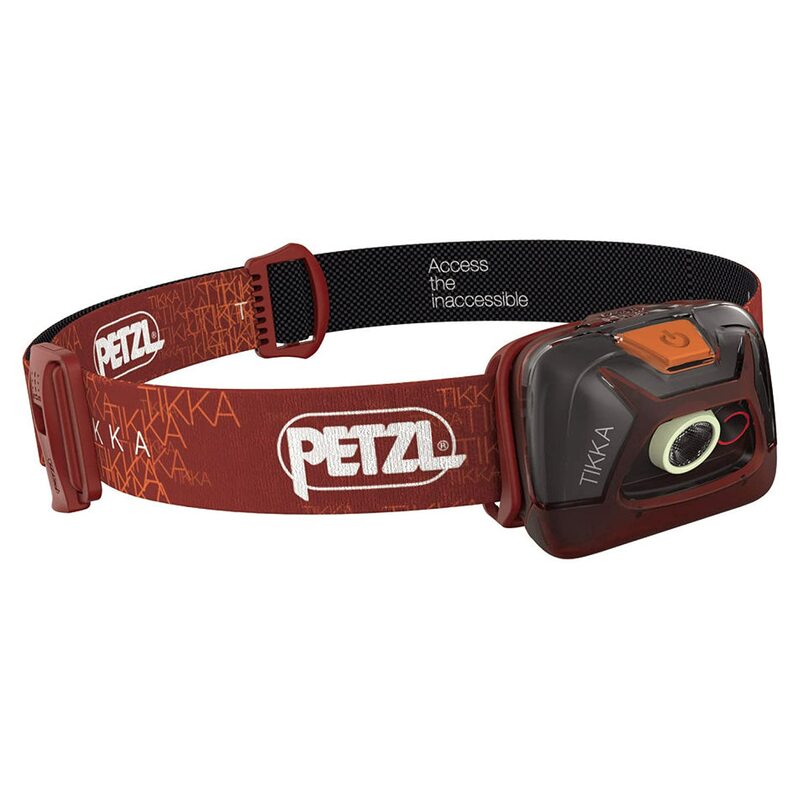 Very sad to be losing my trusty Petzl head torch, and after failing to fix it, I decided to get a new one. HOW DOES IT PERFORM? : I think this little torch is pretty amazing! I always thought my Petzl was great, but clearly technology has moved on. 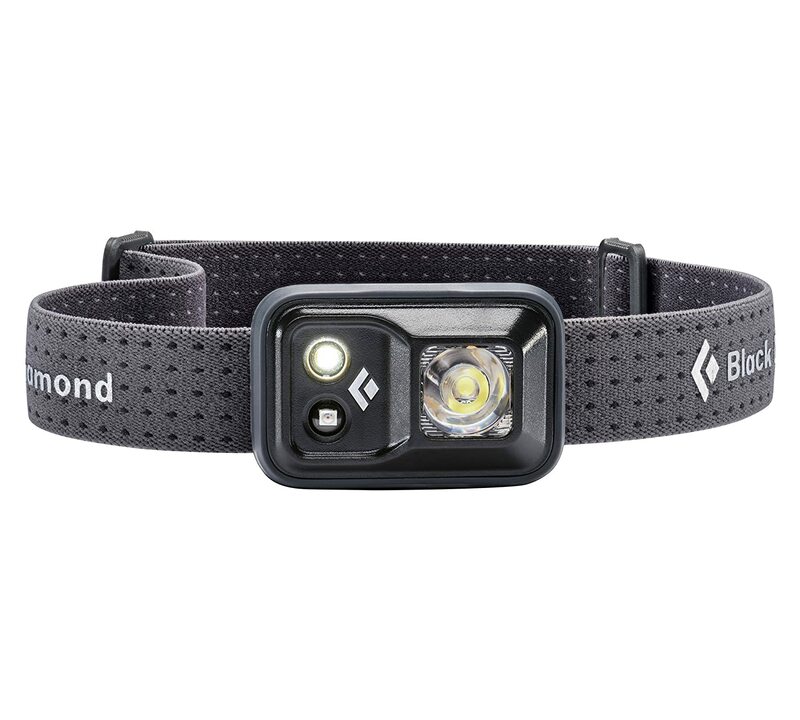 I originally bought my Petzl headtorch for £48, but this Black Diamond Cosmo headtorch was only £23 and it absolutely wipes the floor with my Petzl! The Black Diamond is very light and comfortable to wear. It has three LED lights and lots of different modes (which granted can bit a little confusing at first). The red LED is for when you don't want to disturb people around you I guess, or maybe if you don't want to blind yourself or animals. 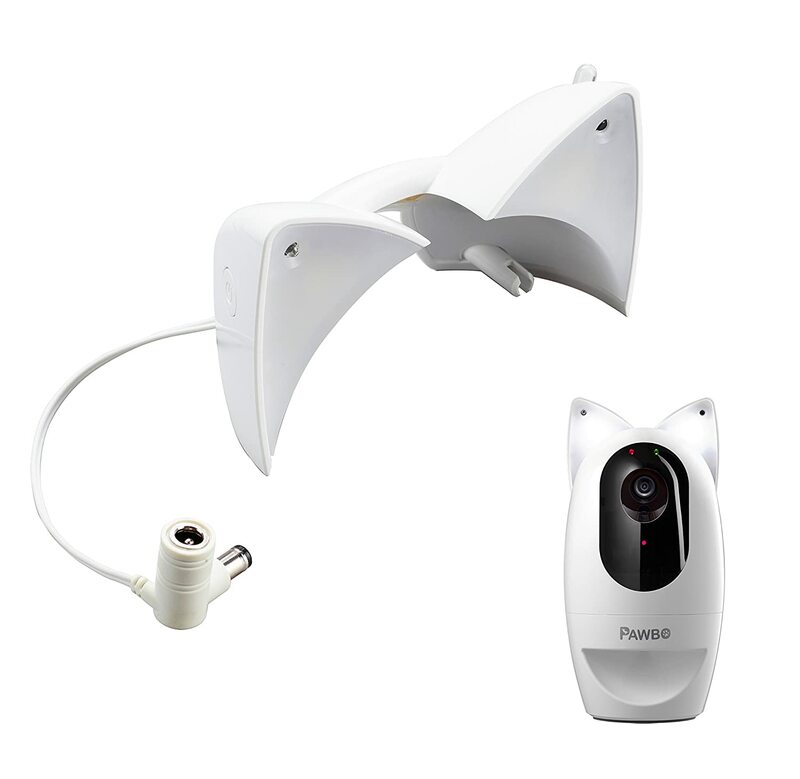 There is also a small white LED or a bigger white LED, which can be used at the same time as the smaller one. The different modes allow you to use one or both of the white LEDs, but also you can dim them quite precisely to get the brightness you want. To turn on the head torch you press the button once, to switch between bright and not so bright you double press the button (when already on) like a double click on a computer mouse. To get the red light it is a 3 second press of the on button from the torch being off. To go back to the white led, you need to turn off, then hold the on button for 3 seconds again. When on and in either white or red LED, by holding the on button down, the light is dimmed or brightened on a loop. 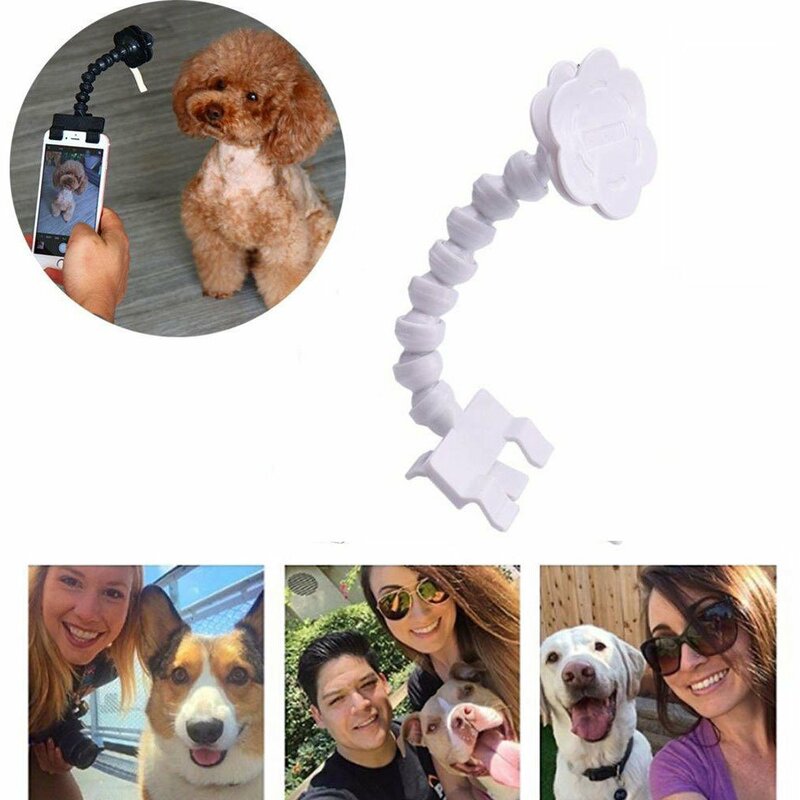 The brightness gradually increases and decreases all the time the on button is held down and at the brightest point and also the lowest point there is a quick flash to help you know when to let go of the power button. The modes can be a bit confusing, but if you were using the headtorch a lot you'd soon get used to it. My old Petzl Myo XP took 3xAA batteries and the batteries were in a little power pack that sat at the back of the head. There was a wire that connected the power back to the torch part at the front and there was a nice weight balance to the whole thing. 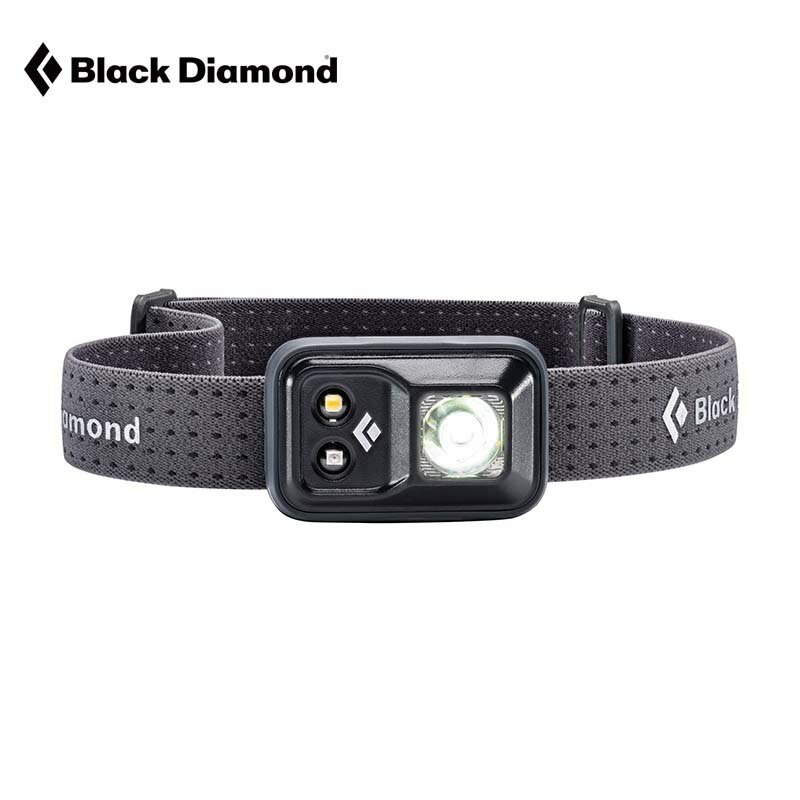 The Black Diamond uses 3xAA batteries and they live in the same unit that the LEDs are contained in. It's all very compact and pretty light. 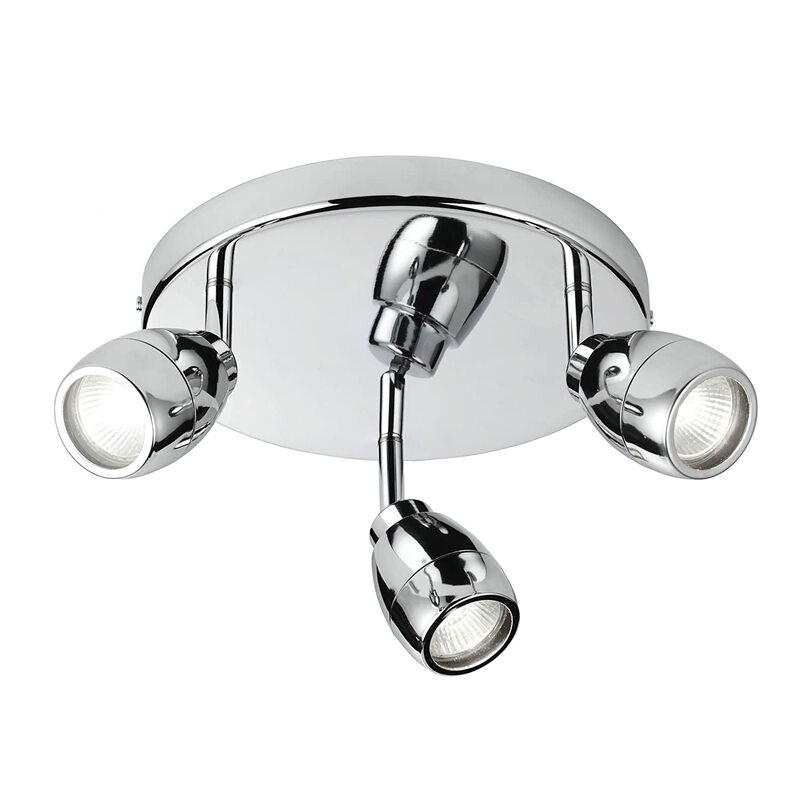 There is also the ability to tilt the torch because of the bracket design. That part does feel a little fragile, but you'd only break it if you were unnecessarily rough with it, otherwise you should be fine. 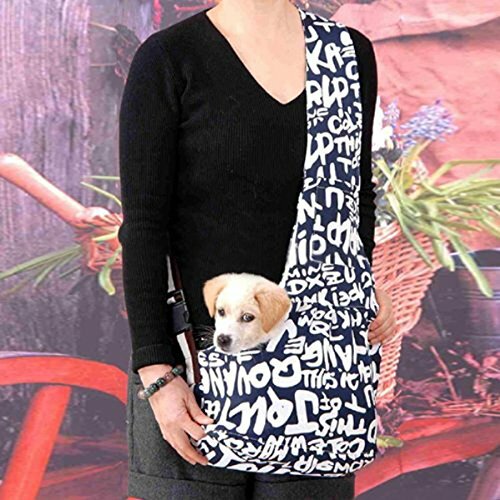 The strap is comfortable and plenty long enough (I have a big head). The buckle isn't very good though, the strap keeps slipping before you put it on; fine when on though. You could sew it in place I guess, a minor gripe really. Overall this is a brilliant torch at a brilliant price. 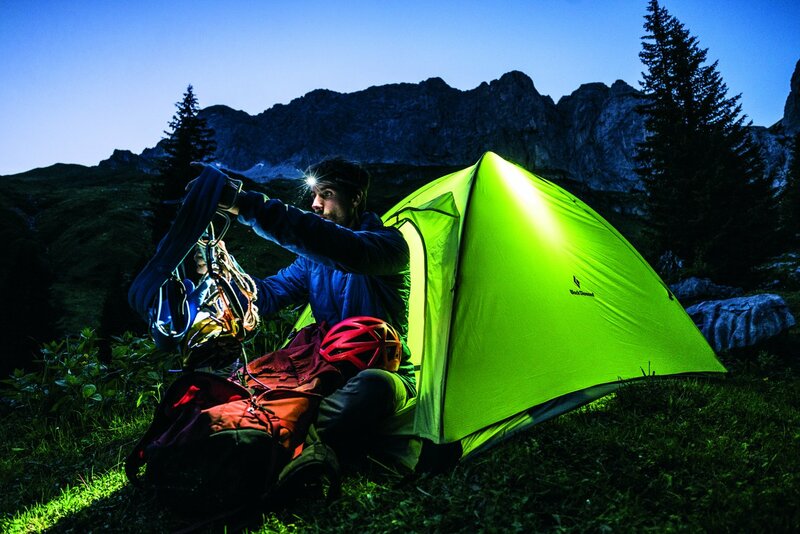 To put things into perspective, at full power it is visually 5 times brighter than my old Petzl! If you use the Petzl in boost mode the Black Diamond is only 2.5 times, BUT you have to hold down the boost button on the Petzl all the time, so not practical at all. If you are looking for a versatile, lightweight, bright and good value torch, look no further, this is an EXCELLENT buy!